Historic Grimshawe House to be Preserved! 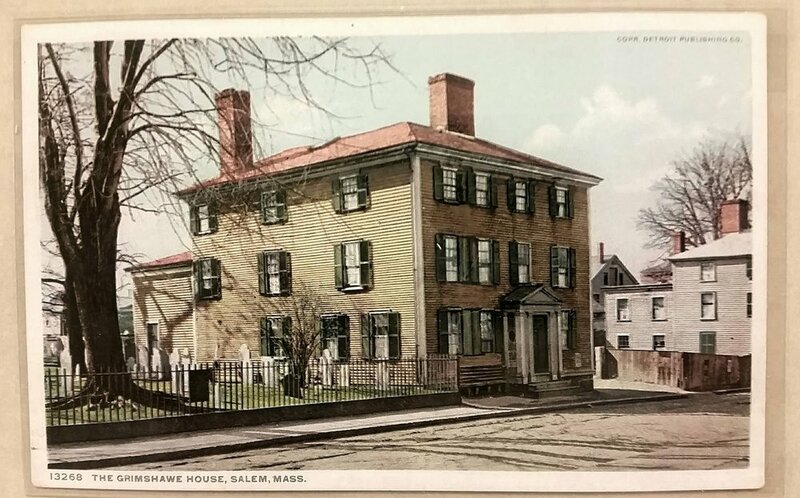 The historic Dr. Nathaniel Peabody House at 53 Charter Street, commonly known as the Grimshawe House, was built in ca. 1770 next to the Old Burying Ground. From 1835-1841, the building was the family home of the Peabody sisters - Elizabeth, Mary and Sophia. Elizabeth was one of the foremost women in the literary circles of her day. She and Mary, who married the famous educator Horace Mann, were also instrumental in the creation of a national kindergarten model. 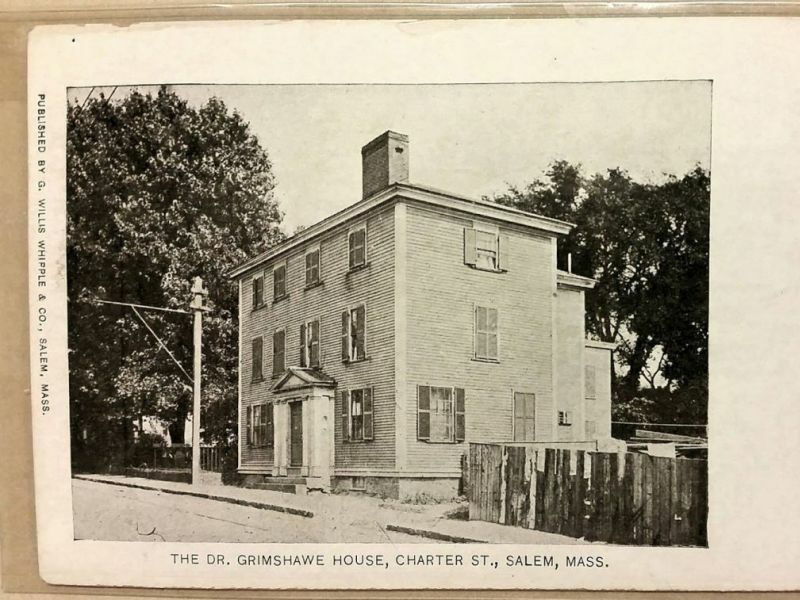 Sophia, who was an artist, married Nathaniel Hawthorne who used the Peabody family home as the setting for several of his novels, including Dr. Grimshawe’s Secret. Both Hawthorne and Mann were frequent visitors to the house. The building later served as a rooming house and a barber shop and has been remodeled many times. Today, the house is privately owned and is listed in the National Register of Historic Places. The building is located in the City’s Urban Renewal Area, which mandates that all exterior changes are subject to review by the Salem Redevelopment Authority (SRA) and its Design Review Board. The owners are seeking to restore the building, including recreation of the building’s original Federal style entrance portico, early corner quoining, and fenestration pattern and to install historically-appropriate window sash and paint colors. A new three-story addition with a single room on each floor would be added at the back southwest corner of the building between the main house and a rear ell. The owner’s restoration contractor presented the plans to the Historical Commission at its February 6th meeting and asked for a letter of support for their application before the SRA. Many interested residents attended the meeting to learn about the project and offer their comments and support. Neither the Historical Commission nor the SRA has jurisdiction over building interiors. The building is currently assessed as a 3-family and is divided into 15+ rooms. The owners are proposing to redesign the interior for apartments on the second and third floors and a manager’s apartment and three offices on the first floor with the hope that the office space may be later used as a research library or museum. The owners intend to continue to own the building and the units will not be individually sold as condominiums. For more information and the proposed building plans, see the recent Salem News article.